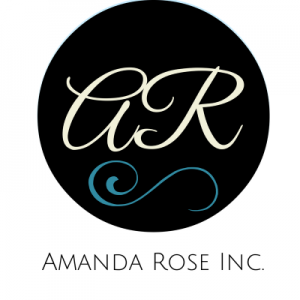 Dream Big Darling - Amanda Rose Inc. I was always the one that dreamed big. As a little girl growing up in pretty much poverty I would dream of beautiful homes in California. I would dream of becoming a famous entertainer and singer even though I can’t hold a tune for the life of me. I dreamed of a fancy life with fancy clothes and cars. I knew deep down in my heart there was more to what I was experiencing. I kept those dreams alive throughout my childhood and adulthood. I knew there was a way to accomplish everything I dreamed of I just didn’t know how. I knew deep down that one of the surest ways was to become my own boss where I could control my income. So after a nasty divorce I was led to start a dating consultancy. Never in my wildest dreams did I think I would ever be a matchmaker. It continued to line up and the opportunity fell in my lap. Don’t get me wrong though, there was a lot of failures and tears behind creating a business. Every tear and failure has been worth it to create something beyond my wildest dreams. Entrepreneurship has been a journey. It’s been the best decision I’ve ever made and it excites the pants off me! I love creating, coming up with new ideas to expand and reach my dreams. One of the biggest lessons I’ve learned is that when you dream big you get lots of opposition! People will question you, mock you, steal your ideas, and just not believe in you. I get questioned from some of the closest people to me about what I do, why I do it and if it’s for real. I try to remember that they just don’t get it. They don’t get what it takes to build a business from the ground up, they don’t get the countless hours of defeat and not giving up, they don’t get why you keep doing what you do, they don’t get the mindset and they especially don’t get the power and vastness of your dream. One of the biggest lessons I’ve learned is to be careful with who you share your goals and dreams with. Honor and protect your dreams. Don’t share with people who just don’t get it. It will leave you disappointed and maybe even questioning yourself. God gave you those divine ideas for a reason. Friends and family won’t always believe in you and that’s okay! Find a tribe of other dreamers, shakers and creators that will support you. People will think you’re crazy! The passion behind a dream doesn’t always make sense to the outside world. But you know some of the biggest names in history got rejected and criticized including Oprah, JK Rowling, and Michael Jordan, just to name a few. I encourage you to look up their stories! They did not let the opinions of others create their outcome. They pressed through to a dream even when others didn’t believe in them and criticized the crap out of them. Create a dream that scares you. If your dream doesn’t scare you it’s not big enough. It should create excitement, fear and wondering of the unknown. I use to be fearful of being on television or radio. I was afraid of the criticism that would follow. Now I go in with the mindset of the people criticizing me have not made it this far! They are not the ones on tv, they haven’t landed national media. And they don’t have the type of success I’m building. They are sitting behind their computers criticizing instead of working towards their own big dreams. So why let their opinions matter? Now even though my biggest dream scares me and it includes national media I’m going after it with all my heart. I’ve had more no’s than yes’ with this particular dream but I’m not stopping until it’s accomplished. What is your wildest craziest dream that scares the bejeebeez out of you? Surround yourself with positive thinkers, books and courses. What you feed your mind will come out of your heart and actions. Remember the saying you become like the 5 people you hang out with? It’s true! Be choosy who you let into your inner circle. If someone brings you down more than they bring you up it’s time to reflect on the dynamic of the relationship. A lot of people will not get your positive mindset or the choices you make. People have made fun of my vision boards and mindset. They’re not laughing so much when the things on my vision board have come true! Keep dreaming, keep creating and never give up. Because it’s people like you that will change the world and make it a better place. I created a new Facebook group for movers, shakers, dreamers and creators. A safe space where we can uplift each other, find support, share our dreams and creations. Join us here today, I’d love to see your smiling face!